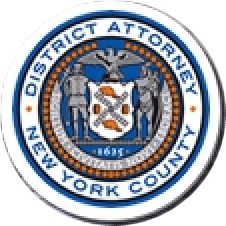 Manhattan District Attorney Cyrus R. Vance, Jr., today announced criminal charges against the Southeast Asia-based operators of websites for an Internet scam that is alleged to have defrauded individuals – including Manhattan residents – by promising significant returns on virtual currency investments that were made through the sites using Bitcoin. The complaint, filed this morning in Manhattan Criminal Court, is the result of a more than six-month long investigation, and charges the operators with Securities Fraud, Scheme to Defraud, and Petit Larceny. Earlier this month, the court authorized the District Attorney’s Office to seize and shutdown the website, BITCOINHYIP.ORG, as well as more than 70 other similar websites, all of which were registered by YOUYOU FINANCE. Due to the relative anonymity provided by these transactions, it can be difficult to identify specific victims of this type of investment scheme unless they come forward. The Manhattan District Attorney’s Office encourages anyone who believes that he or she may have been targeted to contact the office’s Cybercrime hotline at 212-335-9600. As indicated on both its website and in email communications with the investigator, BITCOINHYIP.ORG promised three bitcoins in exchange for a one-bitcoin investment within 48 hours. During that time, bitcoins fluctuated between $566.60 and $586.10. However, as alleged in the complaint, BITCOINHYIP.ORG and YOUYOU FINANCE failed to transmit the promised investment return, and refused to refund the original bitcoin. In addition, more than 70 other websites registered by YOUYOU FINANCE allegedly made similar representations and offered comparable investment opportunities as BITCOINHYIP.ORG. An analysis indicated that many other bitcoins were being sent to the bitaddresses promoted by these websites, with none being returned to the original investors. On January 16, 2015, a search warrant was issued and the domain names of 72 websites registered by defendant YOUYOU FINANCE were seized by the District Attorney’s Office. In testimony before the New York State Department of Financial Services in early 2014, District Attorney Vance warned against potential abuse in the Bitcoin market, and called for New York State to require digital currency exchanges to obtain licenses as money transmitters. Assistant District Attorney Cory E. Jacobs and Counsel to the Investigation Division and Senior Investigative Counsel Marc Frazier Scholl, both of the Major Economic Crimes Bureau, are prosecuting the case under the supervision of Assistant District Attorney Polly Greenberg, Chief of the Major Economic Crimes Bureau; and Executive Assistant District Attorney David M. Szuchman, Chief of the Investigation Division. Senior Investigator Gregory Dunlavey also participated in the investigation, under the supervision of Michael Wigdor, Assistant Chief of the Investigation Bureau, and Walter Alexander, Chief of the Investigation Bureau. Investigative Analysts Nicholas Frandsen and Kellie Desrochers also assisted with the case. The Cybercrime and Identity Theft Bureau also provided valuable assistance.